A sure way to save a few cents (or pennies) is to book your accommodation and travel early. 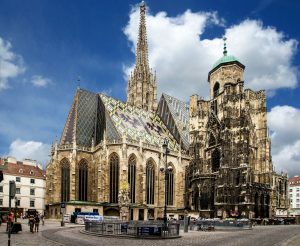 With over 15,000 participants at the conference last year, the race for places to stay and transport to get to Vienna is fierce. 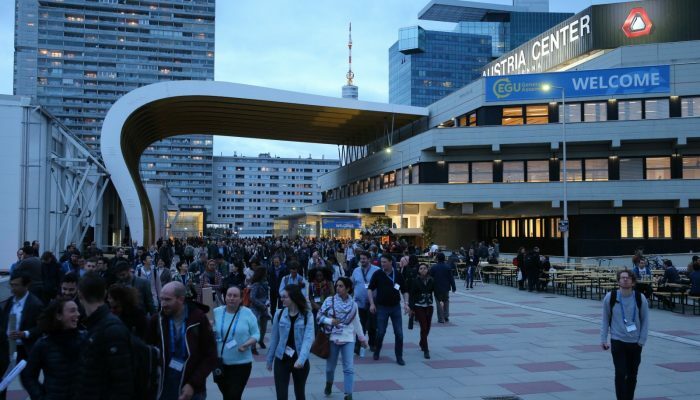 This year, not only are we expecting Earth, space and planetary scientists to descend on the city for EGU 2019, but also more than 40,000 people will participate in the the Vienna City Marathon, on Sunday, 7 April, resulting in many hotels being fully reserved the night before. Booking early will not only mean you have more choice of places to stay and times to travel, but will ensure you get the most competitive prices too. For those travelling by plane to the conference, a top tip is to look for flights to Bratislava. 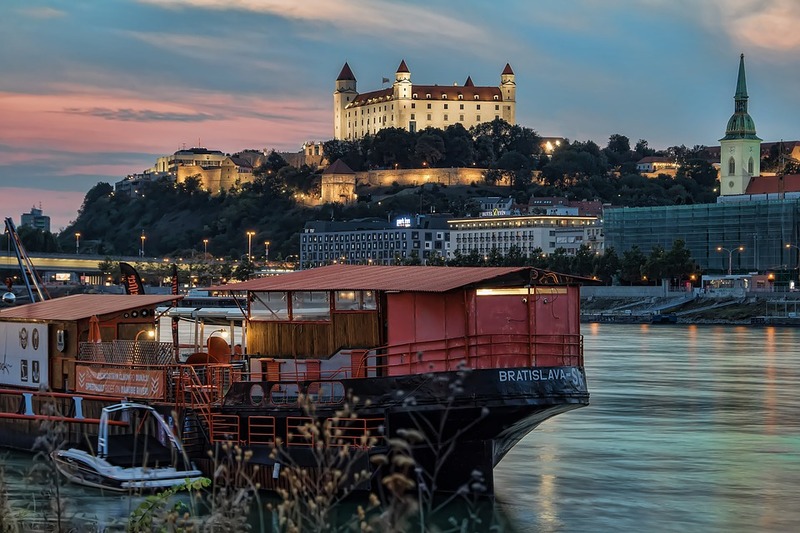 The Slovakian capital is only 80 km away from Vienna and well connected via bus, train and even boat! Bratislava airport is served by a good selection of low cost airlines and it’s often cheaper to fly there than directly to Vienna. A bus ticket between the two cities can cost as little as five euro (if booked well in advance) with the average for a return train trip being around 14 euro. If that’s not enough to persuade you, it’s worth factoring in a little time to discover the city. It’s a warren of quaint little streets, an imposing castle and good, affordable beer and food. If you’d rather head straight to Vienna, booking your arrival and departure for the day(s) before and after the conference can result in considerable savings. And, if you’re ok with longer journeys, you might consider the train or the bus. Not only are they often more affordable, but also often more environmentally friendly travel options compared to flying. To reduce carbon emissions, we encourage participants to travel by train to Vienna when possible. Hotels can be expensive. Hostels offer an affordable alternative and are bound to be packed with fellow General Assembly goers. Alternatively, look for beds, rooms and/or apartments via Couchsurfing, AirBnB or similar services. If you need a breather from all the science, or you have a few days before or after the conference to discover the Austrian capital, keep in mind that the city’s public transport is excellent. 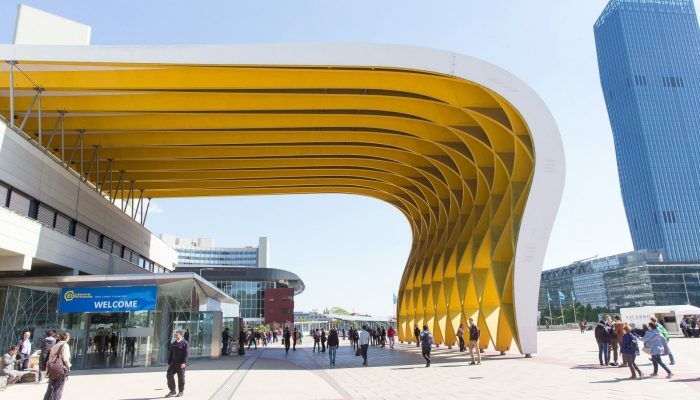 Staying outside of the city centre guarantees cheaper accommodation prices, but staying along the U1 underground (U-bahn) line ensure quick and easy access to all the main tourist spots and the conference centre to boot! 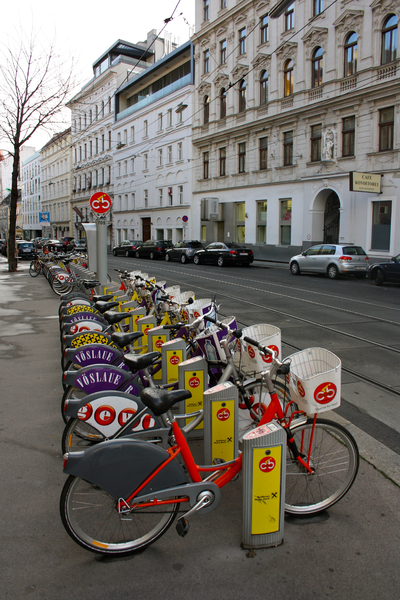 If you’d rather opt for a more energetic option, then the city’s bike rental scheme might be just the ticket. 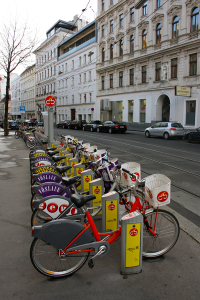 You need to register for the scheme before you can use the bikes, but with more than 120 stations across the city, and a 4 hour rental costing 4 euros, this an environmentally friendly and cheap option definitely worth considering. You should also stay tuned to the blog on the final day of the conference. Our team of press assistants put together a blog post highlighting what’s on in Vienna over the weekend. So if you plan to extend your trip to after the General Assembly, you’ll certainly be able to pick up some pointers. Let last year’s post serve as a starting point. If your research budget won’t stretch to financing a trip to the General Assembly, don’t despair, there are a number of options you can consider. Though it might be a little late to apply for these for the upcoming conference, keep them in mind for the 2020 edition instead. Submit your abstract to the conference between October and December and you can apply for financial support to travel to the General Assembly (from the EGU). Grants are competitive, but that doesn’t mean one shouldn’t try. If you want to apply, make sure you follow the criteria carefully, as the evaluation is based on how well you satisfy them. You can also consider participating in the EGU’s OSPP Awards and the Imaggeo Photo Competition. Not only will it give your CV a boost if you win, it’ll ensure free registration to the following year’s conference. For more tips and tricks, particularly if you’ve never been to the General Assembly before, don’t forget to check our First Timer’s Guide. While we hope this post goes some way toward making the conference an affordable experience, it is by no means comprehensive. Help us make it better by sharing your suggestions on how to make the most of the General Assembly and Vienna, we’d love to hear from you. Add them in the comments section below and we’ll include them in a similar post in 2020. A sure way to save a few cents (or pennies) is to book your accommodation and travel early. 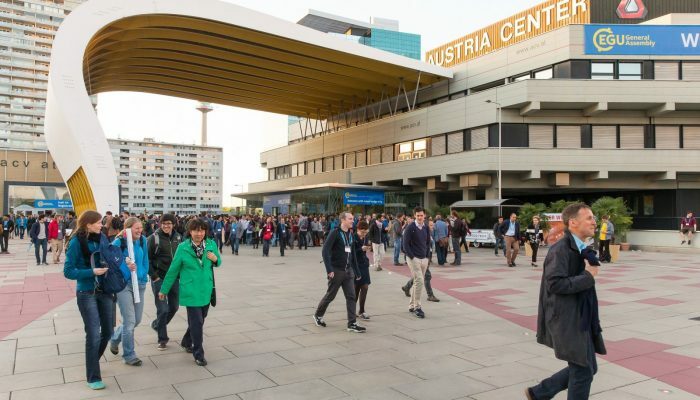 With over 13,000 participants at the conference last year, the race for places to stay and transport to get to Vienna is fierce. Booking early will not only mean you have more choice of places to stay and times to travel, but will ensure you get the most competitive prices too. 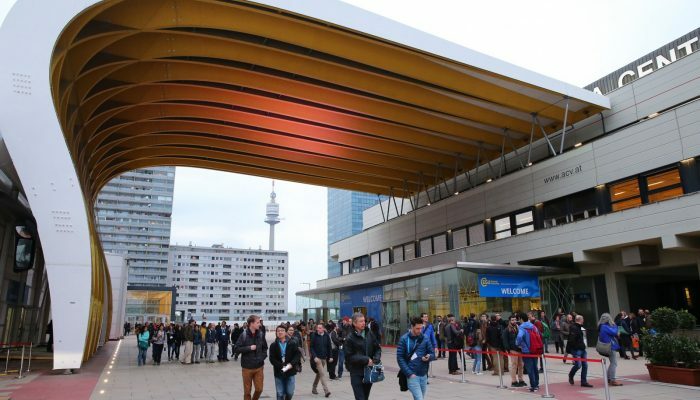 Submit your abstract to the conference between October and December and you can apply for financial support to travel to the General Assembly (from the EGU). Grants are competitive, but that doesn’t mean one shouldn’t try- if you want to apply, make sure you follow the criteria carefully, as the evaluation is based on how well you satisfy them. You can also consider participating in the EGU’s OSPP Awards, Imaggeo Photo Contest and Communicate your Science Video Competition (submissions for the 2017 editions of all contests are now closed). Not only will it give your CV a boost if you win, it’ll ensure free registration to the following year’s conference. For more tips and tricks, particularly if you’ve never been to the conference before, don’t forget to check our First Timer’s Guide. While we hope this post goes some way toward making the conference an affordable experience, it is by no means comprehensive.Help us make it better by sharing your suggestions on how to make the most of the General Assembly and Vienna, we’d love to hear from you. Add them in the comments section below and we’ll include them in a similar post in 2018.